Eastern and Oriental Bhd (E&O) will launch the second tower of the Andaman at Quayside Condominiums next month amid an encouraging response for the first. Its Head of Sales and Marketing for Penang, Christina Lau said the take-up rate for the first tower, had surpassed the 70 per cent mark since it was launched in February. "While Penangites formed the majority of buyers for the first tower, we also saw a sizeable number of foreign buyers, mainly from Singapore, Japan, Great Britian, Hong Kong, China and Indonesia," she said in a statement here today. Lau said the pricing schedule for the second tower is being drawn up and will be fairly competitive to commensurate with the development's total product offering. Units range from spacious 1,128 sq ft for a one-bedroom studio suite priced from RM1.416 million to the 4,755 sq ft penthouse. There are also 1+1, 2 and 3-bedroom suites at 1,188, 2,047 and 2,776 sq ft, respectively. 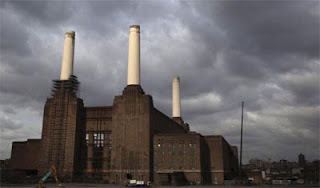 FOLLOWING last month's joint bid by SP Setia Bhd and Sime Darby Property Bhd to acquire the Battersea Power Station for £400mil (RM1.97bil), the two companies have now formed a 40:40:20 joint venture (JV) with the Employees Provident Fund to develop the London-based site. The land cost remains unchanged at £400mil, with another £200mil earmarked for development in the first two years. However, SP Setia's stake has been lowered to 40% from the 50% that was previously guided. The 39.1-acre site is to host mixed-residential and commercial units that will be developed over a period of 15 years and will include a new underground station costing £212mil, which will be shared among 10 developers in the vicinity. The higher stake of 50% would have required more than RM700mil in funding requirements for SP Setia. This would have stretched its net gearing to more than 0.5 times and necessitate a higher level of equity fund-raising, at a time when share price still remains below RM4.00. Even with a 40% stake in the JV company, we estimate SP Setia would still require an initial capital of RM590mil. This is assuming the JV company uses an equal mix of debt and equity. With its current net gearing estimated at 0.5 times, and given its need to fund other ongoing projects in addition to Battersea, we still expect a right issue to take place soon. The Battersea project JV is consistent with our view that SP Setia is increasingly reliant on overseas projects to meet its sales targets. SP Setia is targeting 50% of its sales to come from overseas projects in five years' time. Risks for the company include a slowdown in sales, escalation in construction and raw material costs, and delays in launches. However, we are not changing our forecasts, as there is a long gestation period and lack of details regarding the first phase of the project. Therefore, we maintain a “buy” call on SP Setia with a target price of RM4.39. We like it for its strong product concepts and consistent dividends. Unfortunately, it is no longer the most liquid property stock in Malaysia as Tan Sri Liew Kee Sin's stake has been reduced from 8.0% to 5.9%.